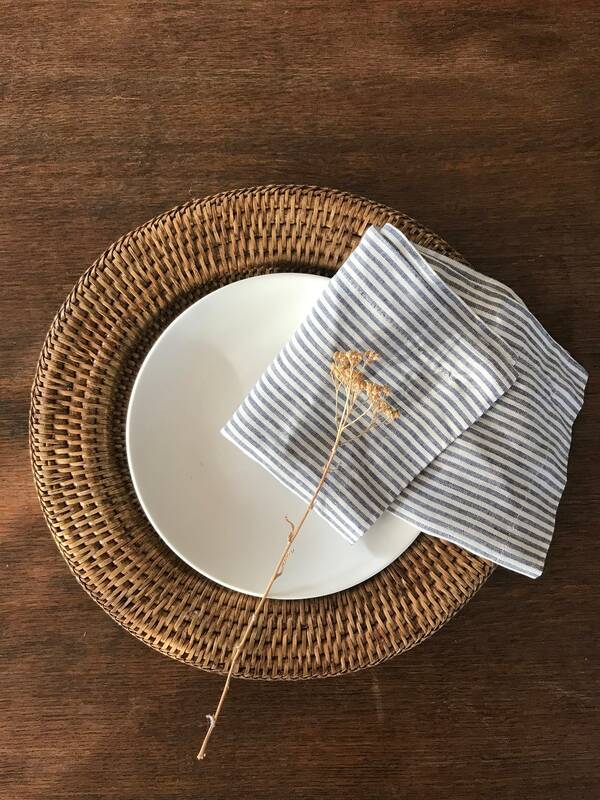 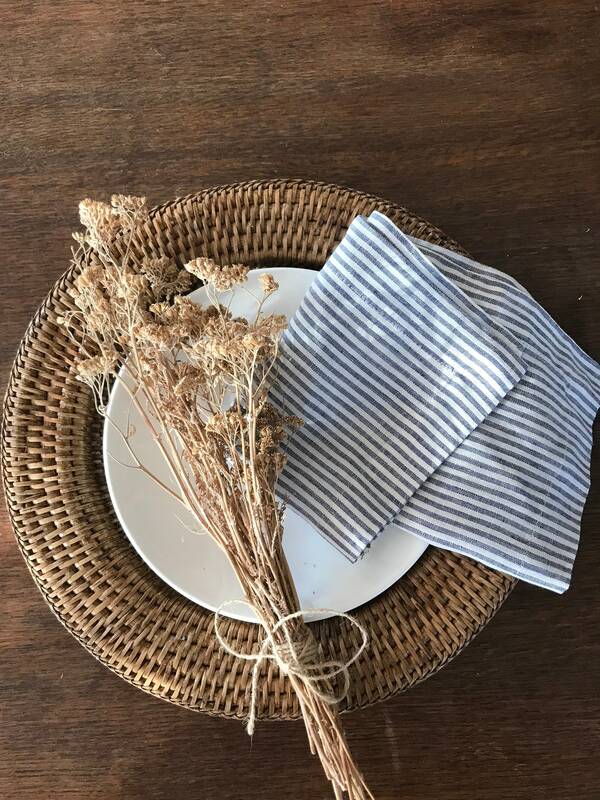 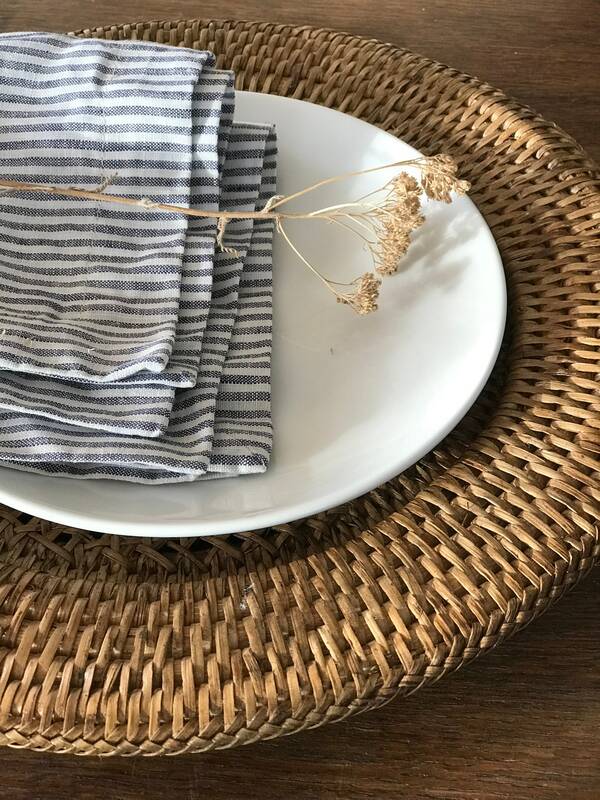 Set of fourteen adorable thin striped linen cloth napkins made from beautiful natural linen. 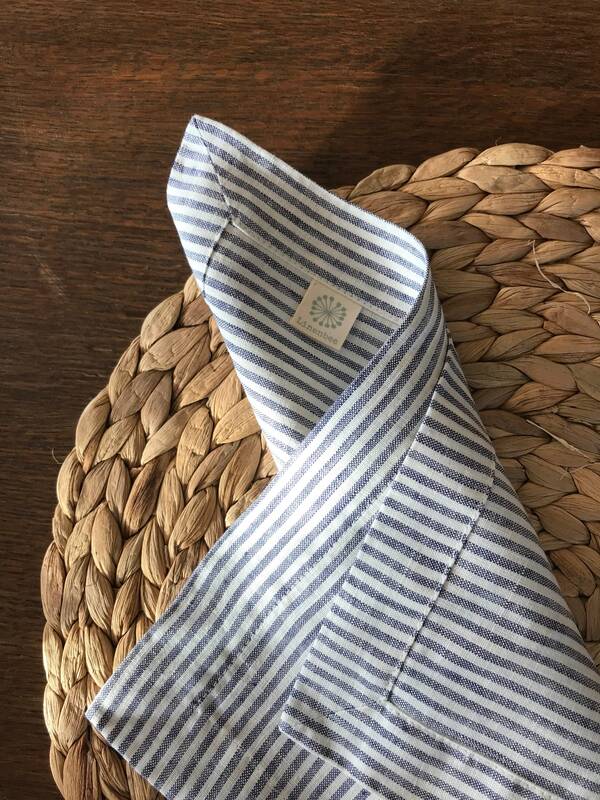 Soft white and blue/grey stripes. 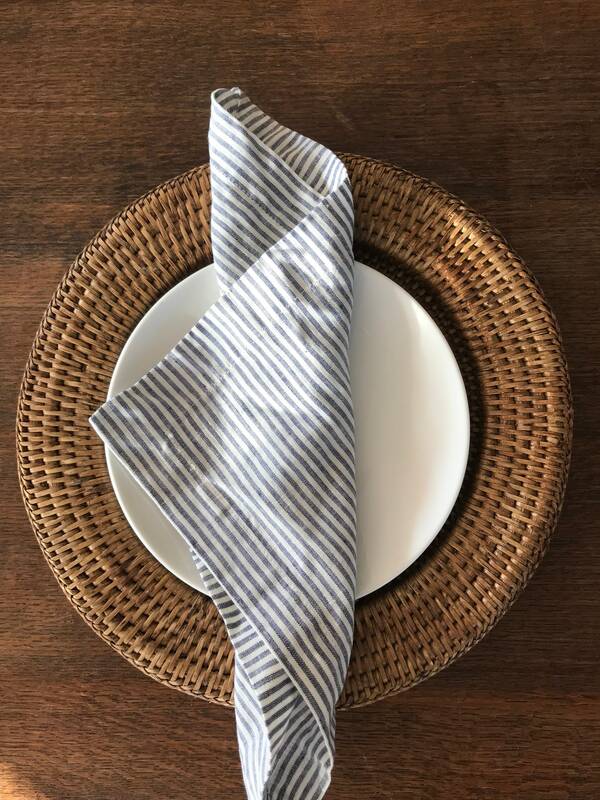 These will be a gorgeous and eco friendly addition to your dining experience. 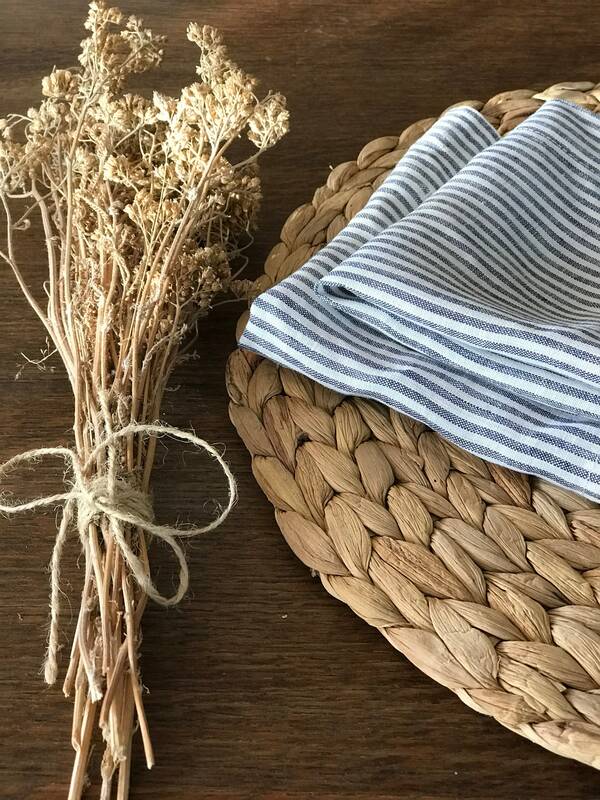 Rustic, simple, real. 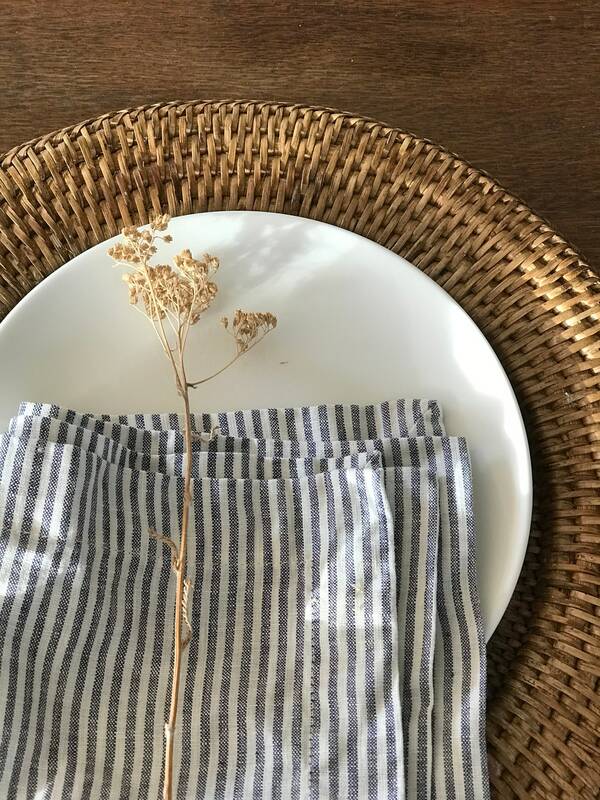 The fabric is OEK TEK 100 certified (Confidence in Textiles) for no harmful substances. 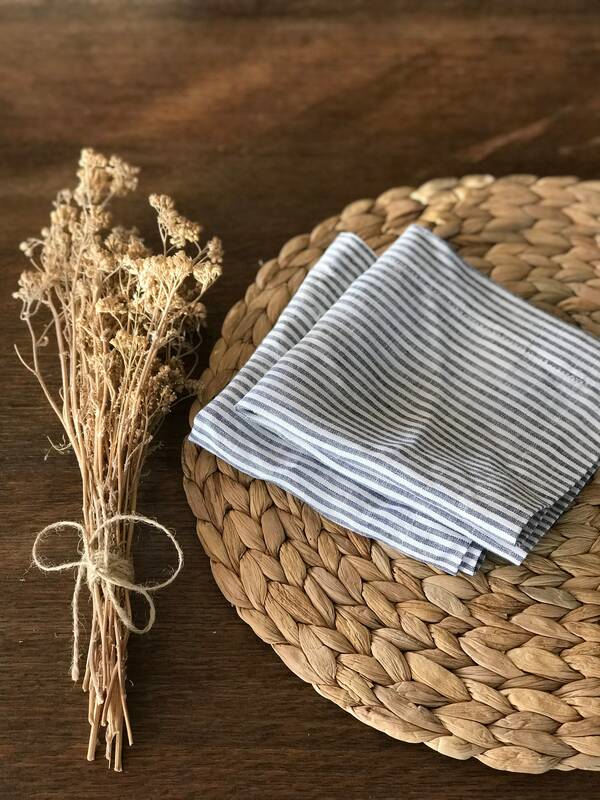 We are happy to do custom orders. 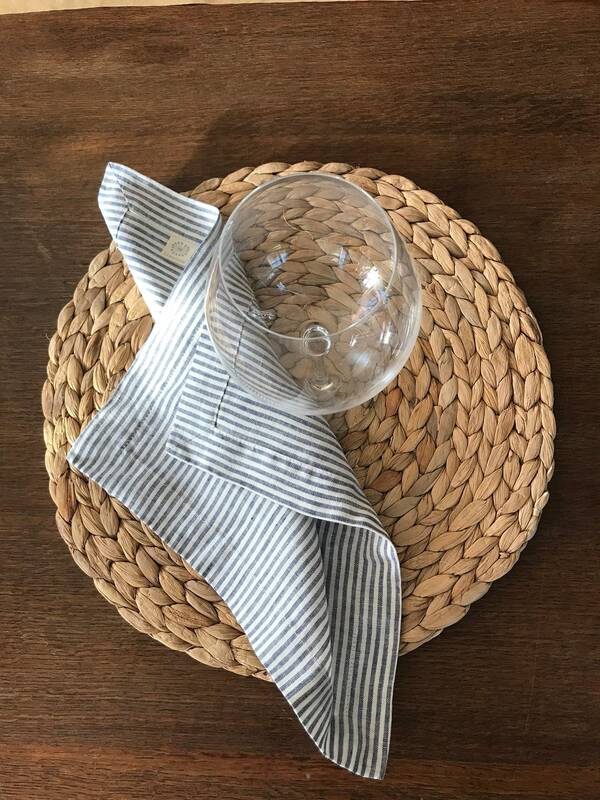 For quantities lager than 4 sets message us to enquire about discounts. 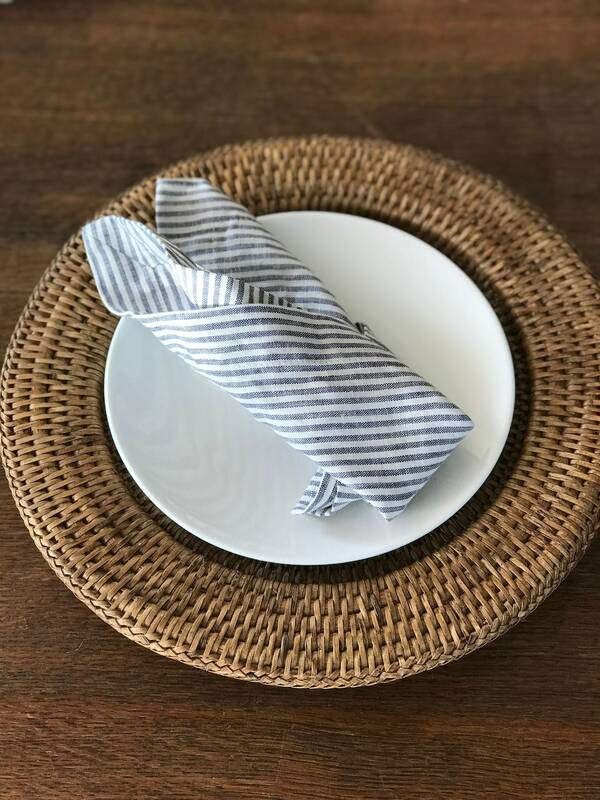 Please allow for up to ONE week to hand tailor the napkins for you.